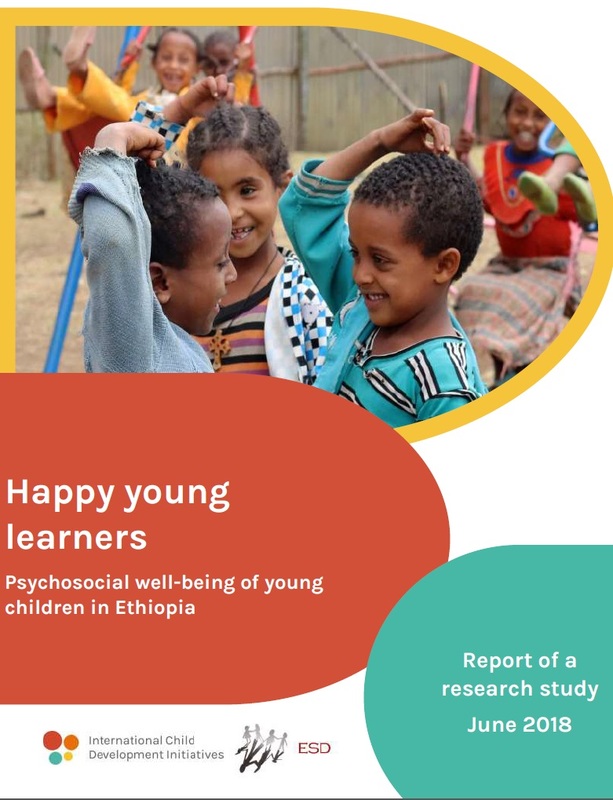 Happy young learners: Psychosocial well-being of young children in Ethiopia report presents the findings and recommendations of a research and practice project about the psychosocial well-being of five year-old children. It took place between 2016 and 2018 in two regions in Ethiopia: Amhara and Southern Nations, Nationalities, and Peoples’ Region (SNNPR). It consisted of: 1) a research study, 2) a programme to improve the quality of four preschools in the study areas, and 3) the making of a short documentary film called ‘Happy young learners in Ethiopia’. All of these actions took place to inform Early Childhood Care and Education (ECCE) practice, teacher education and policy in Ethiopia. The project was a collaborative effort between Education for Sustainable Development (ESD), in Ethiopia and International Child Development Initiatives (ICDI), in the Netherlands.